St. Mane Sporting Goods - Home Page - We are an all-in-one stop sporting goods shop offering the finest quality products. For over 54 years St. Mane Sporting Goods has been a family-owned and operated business providing sports equipment for Minneapolis and the surrounding areas. St. Mane Sporting Goods has a strong foundation and an even stronger vision for the future. Our store combined with an ever-growing embroidery and screen printing business on-site gives you the best quality, fast and friendly service. 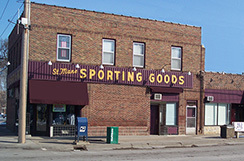 St. Mane Sporting Goods is an all-in-one stop shop offering the finest quality products. Our prices are at such competitive prices with the big-box retailers that we cannot advertise our prices on this site. Call us at 612-722-1447 or Contact Us for more information. If you'd like more information, driving directions, hours, or to get in touch with us please contact us. Screen printing is a stencil method of print making in which a design is imposed on a screen of silk or other fine mesh, with blank areas coated with an impermeable substance, and ink is forced through the mesh onto the printing surface. 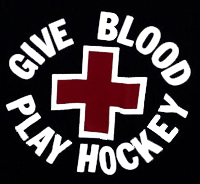 Also known as Silk Screening or Serigraphy. Embroidery is the art or handicraft of decorating fabric or other materials with needle and thread or yarn. Machine embroidery, arising in the early stages of the Industrial Revolution, mimics hand embroidery, especially in the use of chain stitches, but the "satin stitch" and hemming stitches of machine work rely on the use of multiple threads and resemble hand work in their appearance, not their construction.